We have rated this Number 2 in our Top 10 Side opening ottoman bases as it offers excellent build quality and Value for money . This is one of the best made Side opening ottoman bases on the market place this superior strong ottoman as it is supplied with spring hinges rather than gas pistons and is rated at 2 in our top ten of quality and value for money ottoman bases. 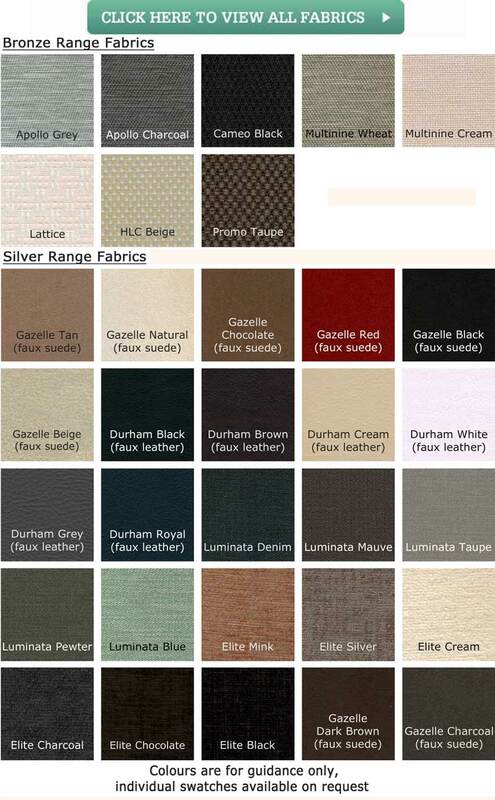 The Base is available in 3 range of fabrics Bronze as standard but with a option to upgrade to silver or Gold fabric ranges and comes in a large range of sizes from small single up to super king size including 3 foot 6" and 4 foot . 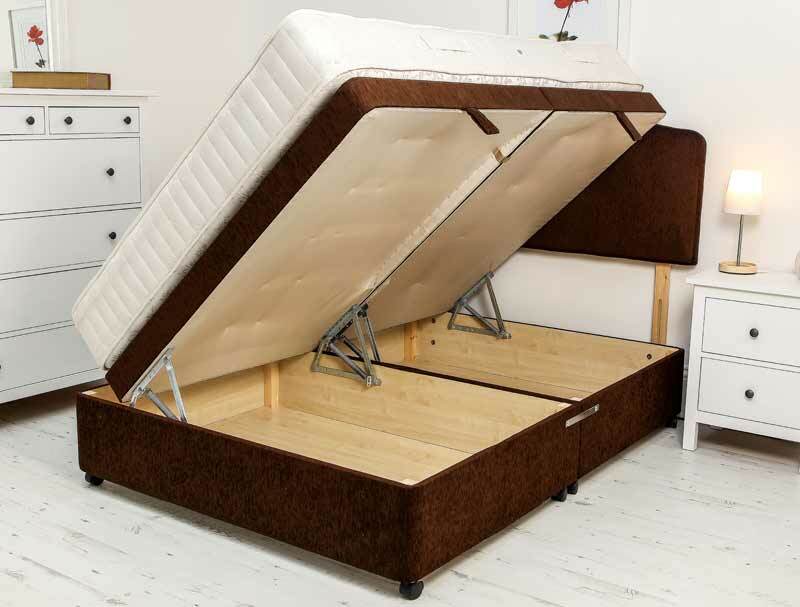 This base is suppled with strong spring hinges What stands this base apart from everyone else is that it has a reinforced pegboard top for strength and breathability , were most other ottoman bases have compressed cardboard tops , The base sides are reinforced too , The base is delivered fully assembled in 2 piece and just needs clipping together and gas struts joining to the base. This base is available in many sizes including euro double and euro king size. The base pictured stands 16.5" or 42cm from the floor to top of the base which offers you 25cm depth of storage.